Contemporary large-scale paintings and sculptural hybrids are on view in NO MAN’S LAND: Women Artists from the Rubell Family Collection. The exhibition imagines a visual conversation between 37 women artists from 15 countries exploring images of the female body and the physical process of making. Li Shurui, Karin Davie, and Kerstin Brätsch employ unconventional techniques to create optical illusions. Working at a large scale, Li creates immersive works that induce hypnotic sensations in the viewer and capture the imagination. In I am not ready…, Li depicts an experience of morphing light that people typically experience only momentarily, when looking closely at the pixels of a digital image. 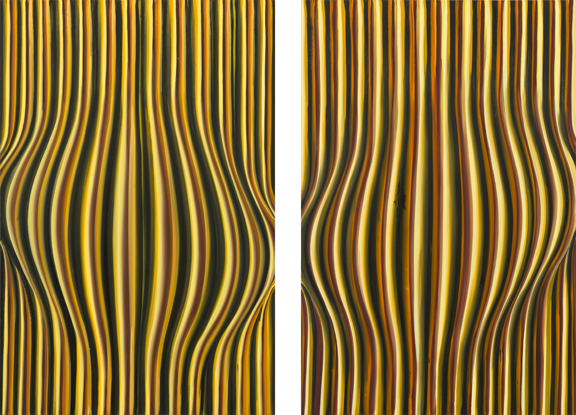 Elements of Op art and Pop art can be seen in Davie’s diptych Oh Baby #1 and #2. Seemingly unbroken, two-dimensional lines create a curvilinear illusion, conjuring images of bellies, bottoms, breasts, or lobes. Distinct from the purely retinal or optical experience offered by Op art, Davie’s abstractions allow the viewer to both “see and feel” her painting process. I Want to be Wrong contains arcing swaths of color that echo the sweeping motion of the artist’s hand. 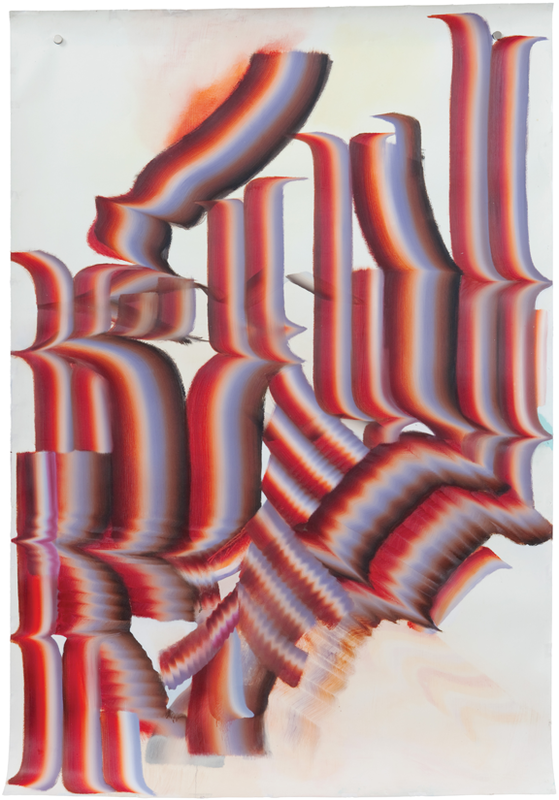 “The brushstroke becomes a stand-in for its physical process,” she says. 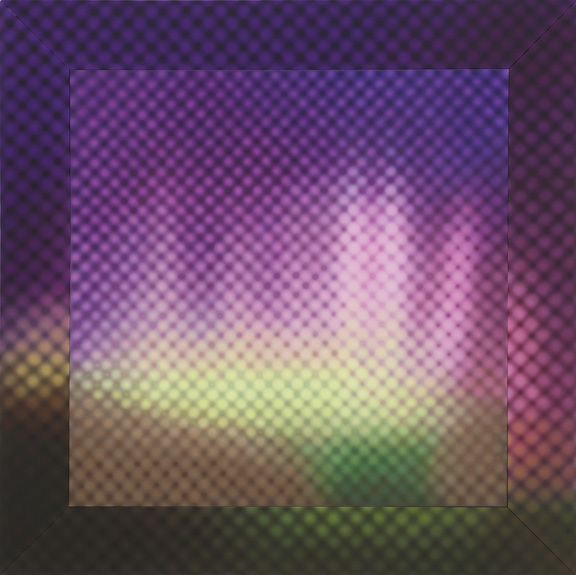 Unconventionally displayed, Brätsch’s paintings are created on pieces of paper that are attached by magnets. To “question the wall itself,” Brätsch leans her frames against the wall to give her art an ephemeral feel. Visit the museum and explore NO MAN’S LAND, on view through January 8, 2017. This entry was posted in Artist Spotlight, NMWA Exhibitions and tagged Broadwaybratsch/Corporate Abstraction, I am not ready…, I Want to be Wrong, Karin Davie, Kerstin Brätsch, Li Shurui, NO MAN'S LAND, NO MAN’S LAND: Women Artists from the Rubell Family Collection, Oh Baby #1 and #2, Sidewalk by Women in the arts. Bookmark the permalink.